As more and more companies are breaking into e-commerce, one aspect that sets the winners apart is a good customer experience. This involves every interaction between the customer and the business, from the pre-sale phase to the communications after the purchase, and it needs to form a vital part of your strategy. If you have any doubt about the importance of customer experience, consider this: an American Express study found that 60 percent of customers are willing to pay more money for a better shopping experience! While 74 percent of senior executives think good customer experience impacts customer retention, just 8 percent of customers say they get a great customer experience shopping. How can businesses make improvements in this area? 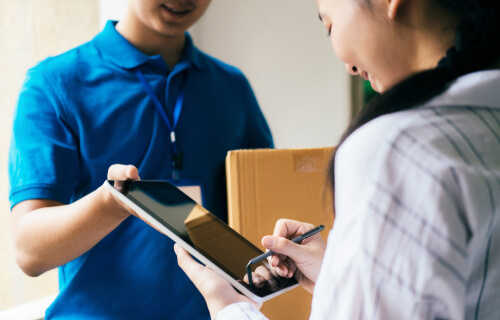 One surprising way to enhance your customer experience quickly is by improving shipping and delivery. If your customers can’t already track their shipment in real-time, it’s time to introduce this capability, and be sure to communicate well with regular updates and information about delays. Should customers contact you about any shipping issues, be sure to answer their calls and emails quickly, and follow up to ensure they’re satisfied. You could also take steps to increase personalization. Studies show that 50 percent of customer experience is actually based on emotions, which is why a personalized package can make a very big impression on your customers. Of course, getting people their goods safely and on time remains important. If your small business is looking for ways to accomplish this without overspending, consider options like less-than-truckload, or LTL, shipping. This enables you to consolidate your freight with that of other shippers within a single trailer, paying only for the space you need. By making an effort to improve your customers’ experience, you can note higher customer retention and greater revenue. Make some adjustments to your shipping strategy and watch your business soar! This blog post was based off of an article by Go Ship. Read the full article here.